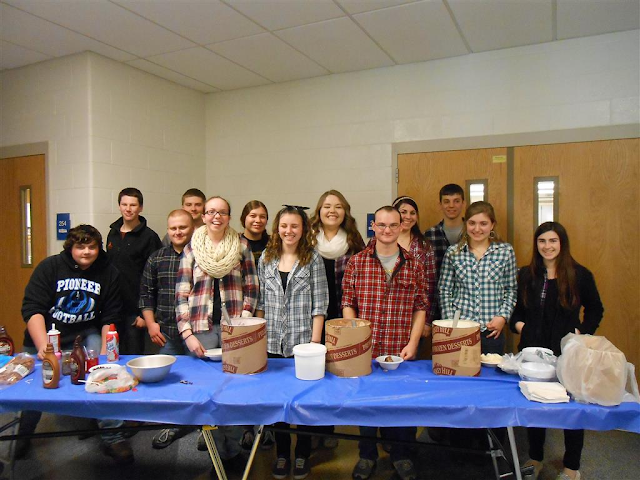 Lampeter-Strasburg's Garden Spot FFA prepares for annual celebration of National FFA Week. FFA members prepare to serve ice cream to staff members at the FFA ice cream social. The first National FFA Week was held in 1948. This year, FFA Week always runs Saturday, February 20 to Saturday, February 27 which encompasses Washington's birthday February 22 birthday.